Pentagon provides LightSpeed point-of-sale solutions for retail business and also the dedicated LightSpeed restaurant POS. LightSpeed can be onsite hosting and controlling your own server or running LightSpeed POS totally online. 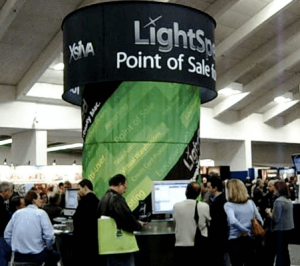 LightSpeed POS serves over 50,000 businesses world-wide, so its a reliable and powerful point-of-sale solution with excellent reporting and an optional e-Commerce backend that allows shop owners to create an online presence by processing sales that occur on their website and at their physical store location. It’s estimated that LightSpeed POS will improve your business operation significantly, typically with a 20% growth in sales after their first year. Pentagon provides LightSpeed hardware comprising barcode scanner, receipt printer, cash drawer, wireless network router, installation and training and support including data transfer from older POS systems. POSiSales Point of Sale solution can provide a contractor a job receipt on his iPad, then printed on a small Zebra printer hanging off his trouser belt. 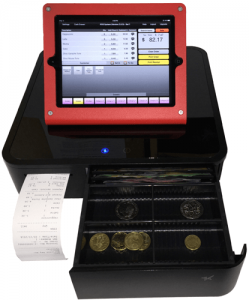 The same POSiSales software will manage sales in a café or restaurant, a milk bar or a school canteen with multiple reception, kitchen and bar printers. 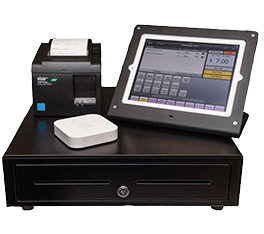 There are no ongoing fees, you own the software, drive away, no more to pay, with a complete POS system comprising iPad, cash drawer, receipt printer and wireless network for only $1,799. An Internet connection is not required. 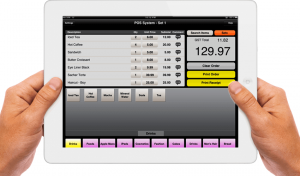 The LightSpeed point-of-sale software can manage small and large businesses and multi-store locations. 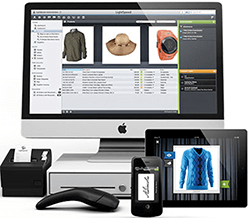 It is arguably the most powerful yet easy to use POS and e-commerce solution available online or running onsite in your store on your Mac. A single user software licence is $39 per week.